BEING DISCONTINUED, HURRY! 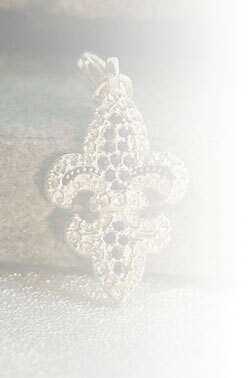 18kt Gold triple layered #42 charm to hang from your Medium Fleur de lis pendant with loop (necklace page) or charm bracelet (bracelet page). 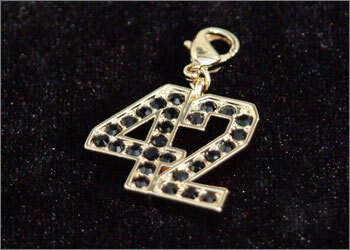 You can also wear your charm as a pendant by putting it on a simple chain (necklace page)! 1" Once these are gone they are gone!